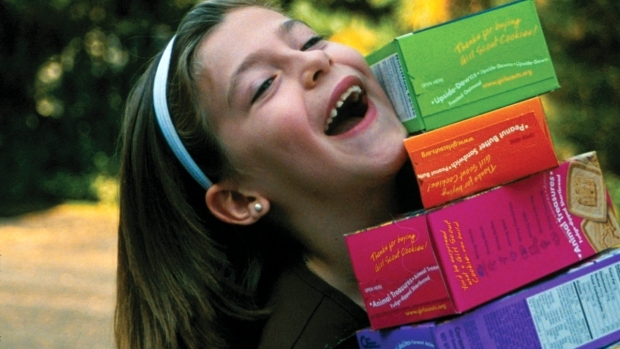 An Oklahoma Girl Scout named Katie Francis has set a new record for cookie sales. 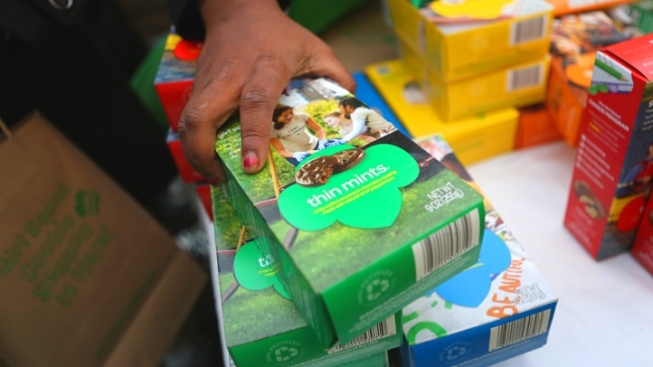 An Oklahoma City girl who says she asks everyone she meets to buy Girl Scout cookies has broken the organization's decades-old sales record by a margin about the size of a Thin Mint. PHOTOS: Happy 102nd Birthday, Girl Scouts! Katie Francis of Oklahoma City sold 18,107 boxes in the seven-week sales period that ended Sunday night. The previous mark was set by Elizabeth Brinton, who sold approximately 18,000 one year in the 1980s. Happy 102nd Birthday, Girl Scouts! The sixth-grade student told The Oklahoman newspaper last month that there were only three ingredients needed to rack up large sales: a lot of time, a lot of commitment and asking everyone she met to buy. Katie sold 12,428 boxes last year. Her troop receives a share of the proceeds from the fundraiser and intends to donate to breast cancer research.